Ukrainian President Petro Poroshenko has signed an order instructing the country's Internet providers to block several major Russian social media websites, according to a decree published on the Presidential Administration's website. The far-ranging National Security and Defense Council (NSDC) decree, “On the Use of Special Economic and Other Restrictive Measures (Sanctions),” is dated to April 28, 2017 and targets a host of Russian companies and individuals, including the country's largest airline, Aeroflot. The social media websites VKontakte, Odnoklasniki, all resources controlled by the holding company Mail.Ru, and the popular search engine Yandex and its subsidiary services, are among the sites that will be blocked. 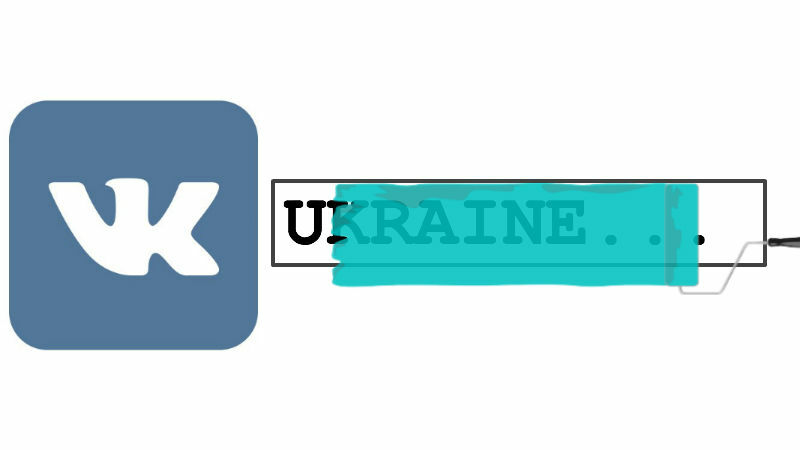 VKontakte is a Facebook-like social media website that had 27 million Ukrainian users in 2014; Odnoklasniki, a website that connects former classmates and is popular among older generations, had 11 million users in Ukraine in 2014. Russian officials, including those from the ruling United Russia party, as well as representatives of the separatist Luhansk and Donetsk People's Republics in eastern Ukraine, are among the individuals sanctioned. 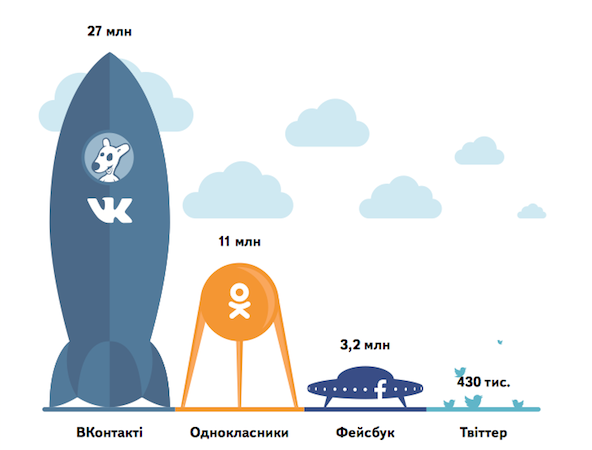 Total audience of social network sites in Ukraine (2014): VKontakte 27 million, Odnoklassniki 11 million, Facebook 3.2 million, Twitter 430,000. Courtesy of Yandex. The newly-sanctioned entities join a list of more than 450 Russian companies and 1,200 individuals that have been targeted by the Ukrainian government since the Russian government annexed Crimea and began supporting separatists in Ukraine's eastern regions in 2014. 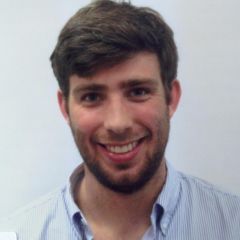 None of the websites controlled by the companies added to the sanctions list had been blocked by Tuesday afternoon. A spokesperson for the Presidential Administration confirmed that Poroshenko had signed the decree and said he expected the NSDC to comment soon. Several Russian media outlets have also been added to the sanctions regime, including the television stations TV Center, NTV Plus, TNT, Zvezda, and RBK. The cybersecurity company Kaspersky Labs, which U.S. intelligence agencies are investigating for its connection to the Russian government, has also been sanctioned. A great move, in my opinion. Ukraine can stand on its own, and I’m glad that they’re taking the steps to show it.